It’s easy to get a bit confused by the huge range of new car models, especially from German brands. Mercedes-Benz has now announced the Concept GLC Coupe – but it also has a GLE Coupe and a regular, non-coupe GLE-Class, plus it will soon have a regular, none-coupe GLC-Class too. It’s hard work… so we’ve covered all the essential points about the new Concept GLC Coupe below. 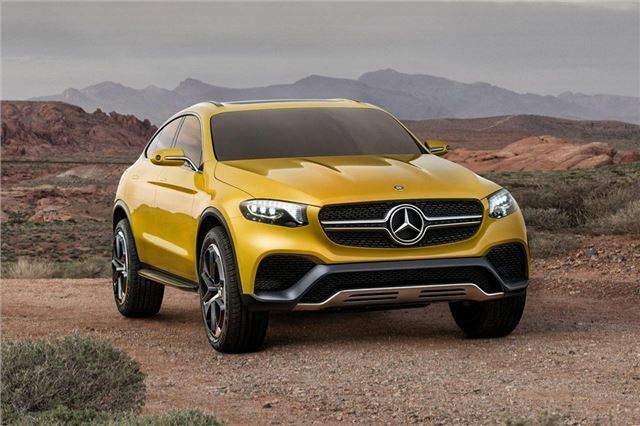 There’s been sketches and now there are photographs, but this is still called the Concept GLC Coupe. Don’t worry about the ‘Concept’ bit though – this is basically what you’ll be able to buy in showrooms, possibly as soon as the end of 2015. It’ll probably cost about £37,000, though details will be finalised nearer the on sale date. In fact Mercedes-Benz even admits that it is almost production-ready. There will be a few differences though – the alloy wheel design shown here is likely to get toned down if it makes it into production, while the dainty door mirrors will be beefed up. That’s about it, though – this is more or less how the car will look.